I hope Bobby Parnell’s father doesn’t criticize the Mets for looking for a closer. If the Mets made a legitimate offer and were turned down for a good reason, that’s fine. Hopefully, someday the Mets will be the kind of team that players will want to join when they receive a fair offer. The Rays, not baseball’s biggest spenders, are a more attractive franchise in spite of playing in a smaller market with an unappealing ballpark. Very entertaining… Now we give credit to Alderson ans company for failing to sign a guy they were supposedly interested in. I guess itwas Minaya’s fault. When Alderson is gone will all you Aldersonistas turn on him or leave with him? Izzy, I hear you keep a little list of Aldersonistas on your person. If true, I insist that you name names instead of perpetuating this tiresome innuendo. I mean seriously: have you no sense of decency, at long last, sir? And let me know what you charge for scrubbing my name from it. I’m tired of fending off reporters. Regardless of the reason why Balfour preferred to pitch elsewhere, it means nothing to come in second on a free agent. 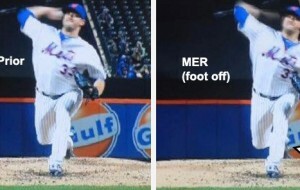 Are Met fans supposed to rejoice that they were reportedly “in” on a legit bullpen arm? Reality is that even if it is true, they came up empty, there are limited to no comps to Balfour still available, and the Mets have a bullpen with a recovering closer with less than 1 year success, and a bunch of unproven unknown kids. So, it’s another Alderson swing and miss for those scoring at home. That’s a forward K, not a backwards one. I think the point was that the offer to Balfour is evidence that the Mets have some $$ to spend still. That is better news than there being no $$ to spend. Agreed. $ and some interest in spending it are both good signs. Really? Because the Mets are considering signing someone I should see it as a good sign? Let’s not talk about what they might do and talk about what they have done. They took a payroll in the top third of the league and cut that payroll every year, including this year, until the Mets were in the bottom third of the league in payroll. Along the way, they “were in on” or “considered signing” a lot of significant free agents but ultimately didn’t sign. I hope they have money to sign more players, too. But they have to prove it by signing someone for me to believe them. Thank God the Mets didn’t get Grant Balfour! I base that opinion strictly on his name and not his skills. I’m surprised that a guy named Grant Balfour became a pitcher. Next thing you know there is going to be a pitcher named Walt Emagin.